Children ages 7+ follow the official ITF Taekwondo course. As well as the physical training we cover topics such as dealing with bullying, communication skills and how to have the confidence to say ‘NO’ to negative peer pressure. Once a child reaches yellow belt we introduce them to sparring drills which requires protective equipment (hand pads, foot pads, shin guards, headguard, mouthguard, groin guard) for their safety. 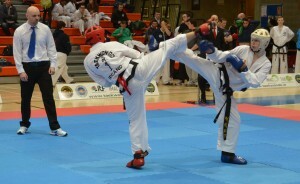 This aspect is known as sport Taekwondo and requires fitness, agility and self control as it is a semi-contact sport. As members of the Irish Taekwondo Association we have access to safely managed, well organised competitions. 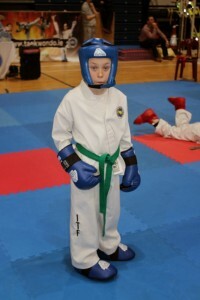 Entering competitions is optional, some children just prefer to train. We run classes specific to teens and adults. They follow the ITF Taekwondo curriculum as well as cover additional topics related to self defence. Teenagers enjoy the athleticism and dynamic training of Taekwondo. It helps with combating stress, dealing with bullying and increasing confidence. We work on the principles of Taekwondo (Courtesy, integrity, perseverance, self control and indomitable spirit). 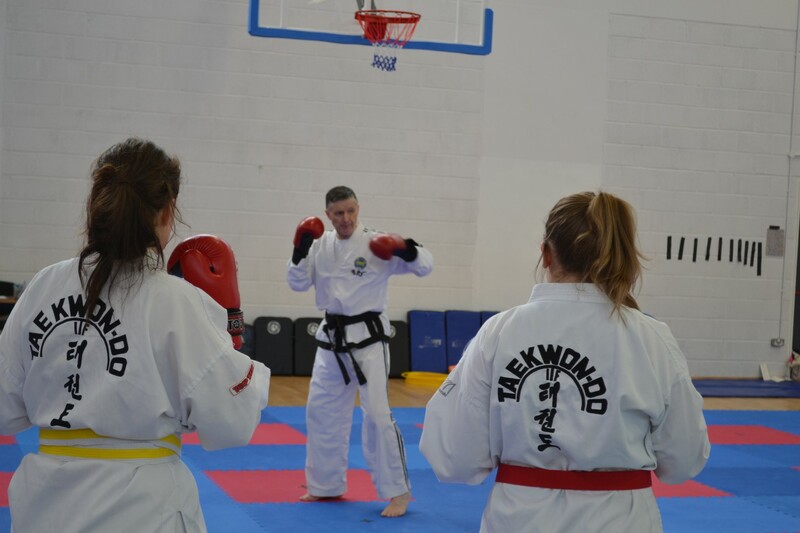 One of the great benefits of Taekwondo for adults is that it involves quite alot of flexibility training, one aspect of fitness that we all lose when we get older, but practicing Taekwondo helps to keep your flexibility. Adults have also claimed that this type of training helps with stress relief, concentration and memory.